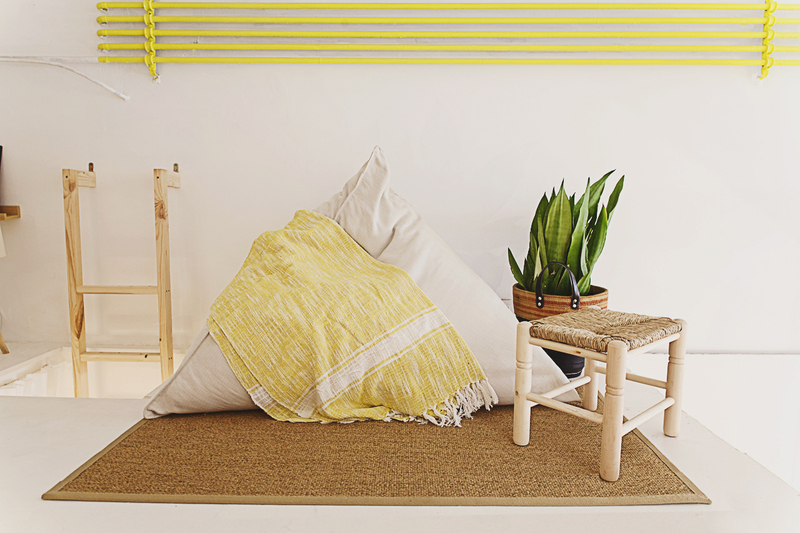 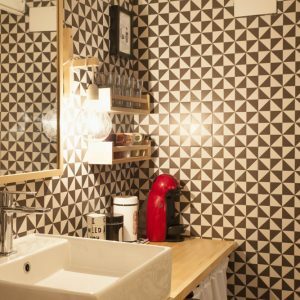 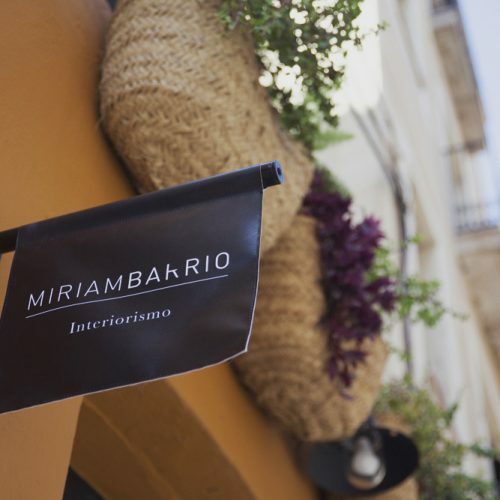 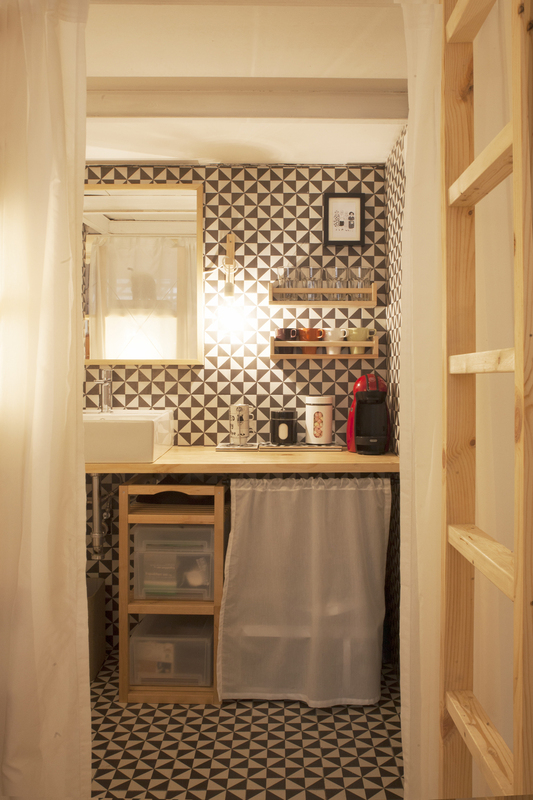 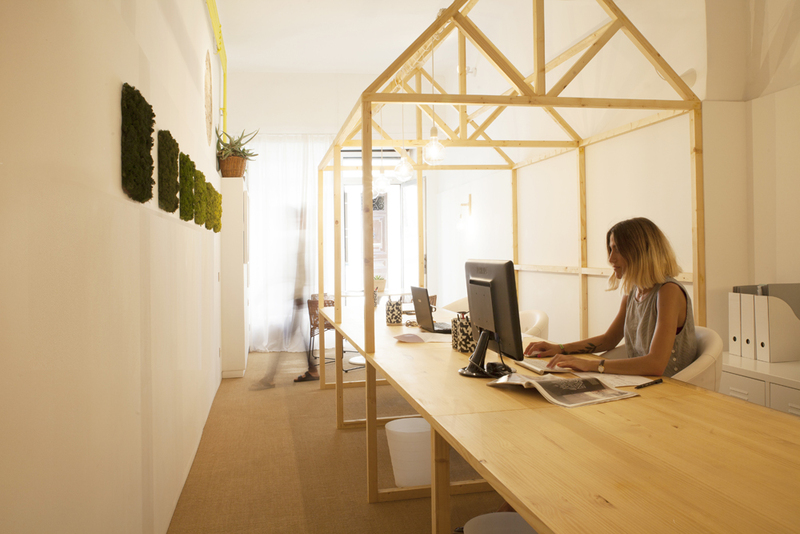 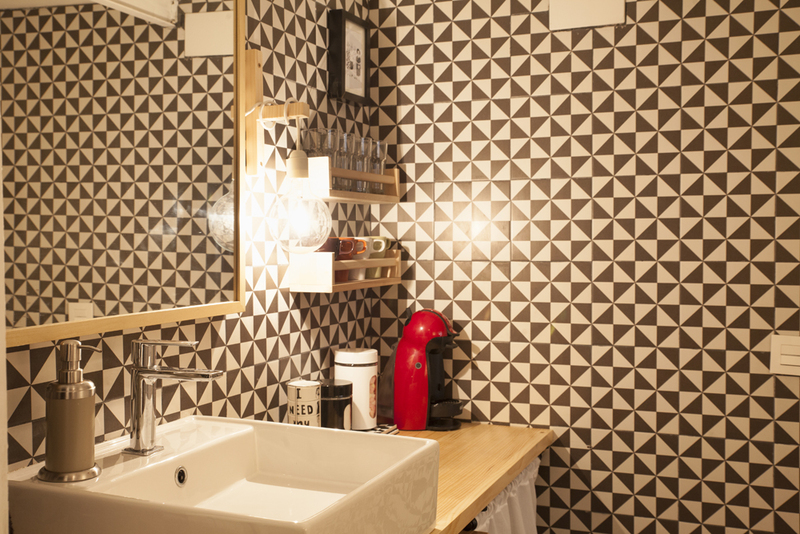 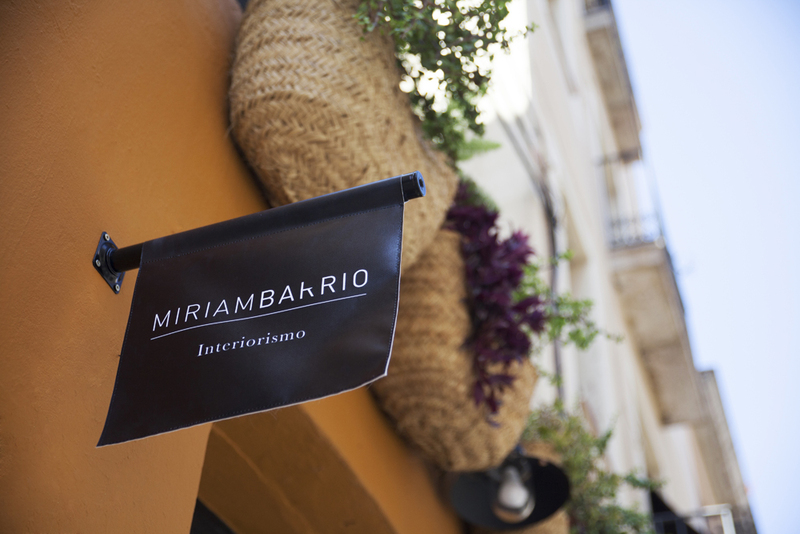 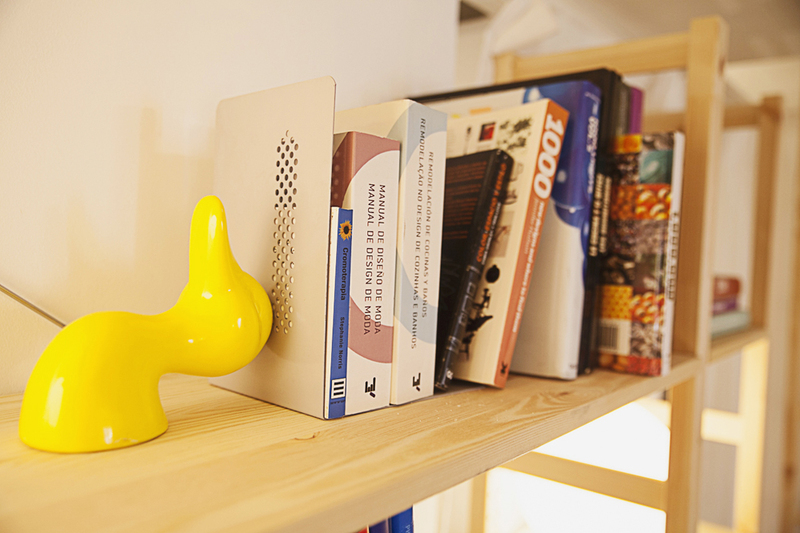 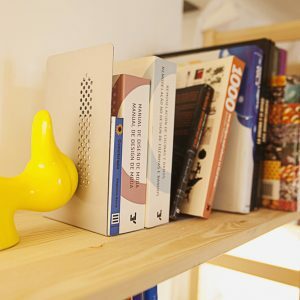 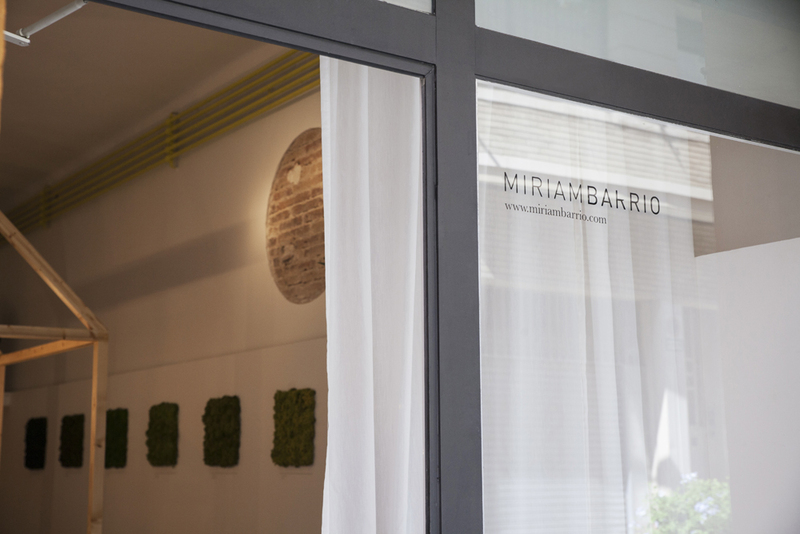 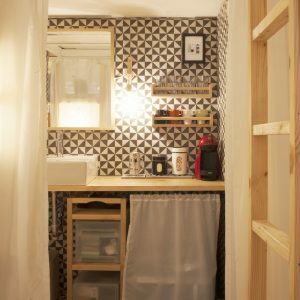 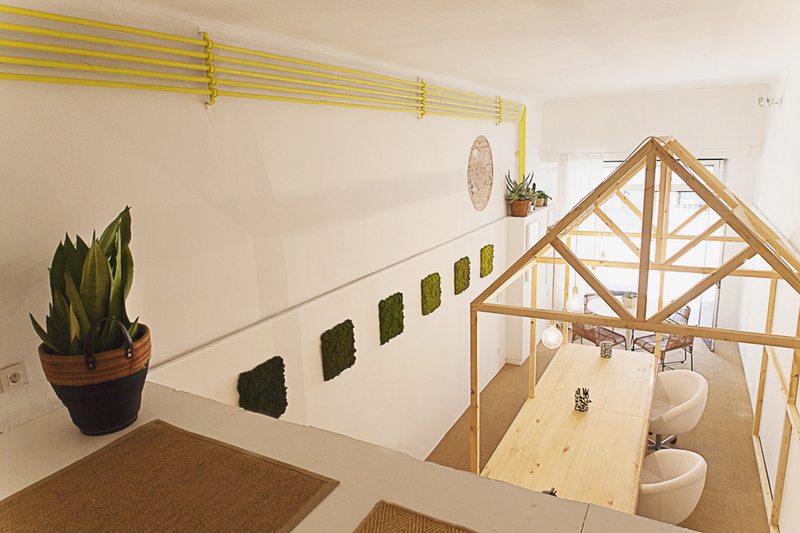 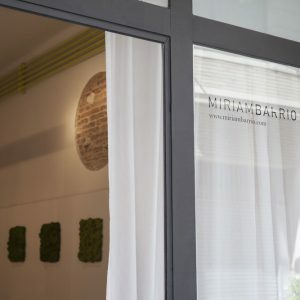 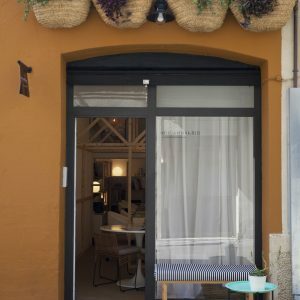 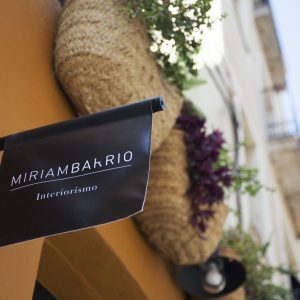 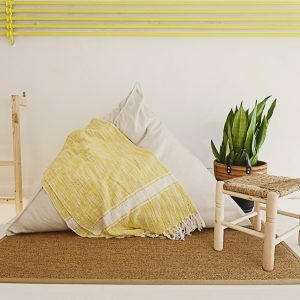 The new Miriam Barrio design studio, located in the heart of the Gracia neighborhood. 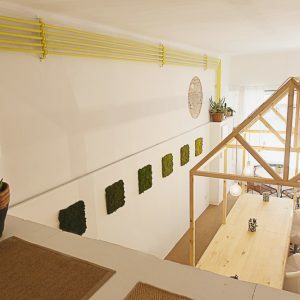 It was an old warehouse, rehabilitated and transformed into a working space at street level. 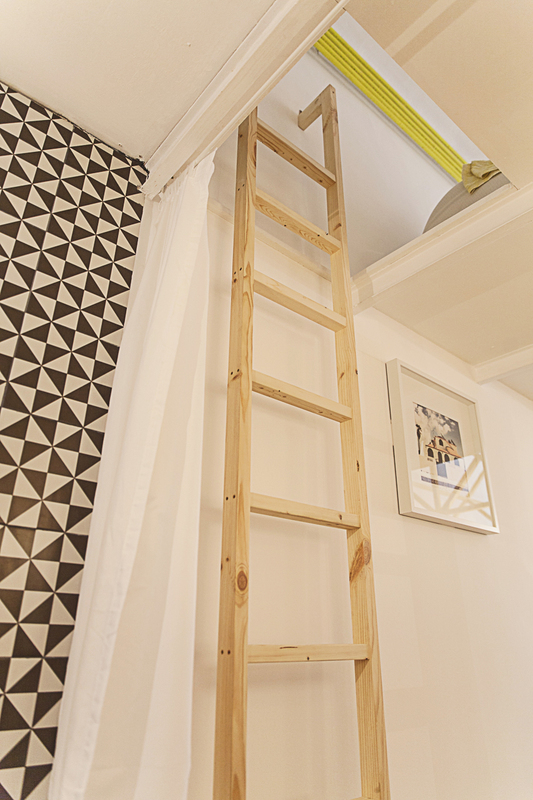 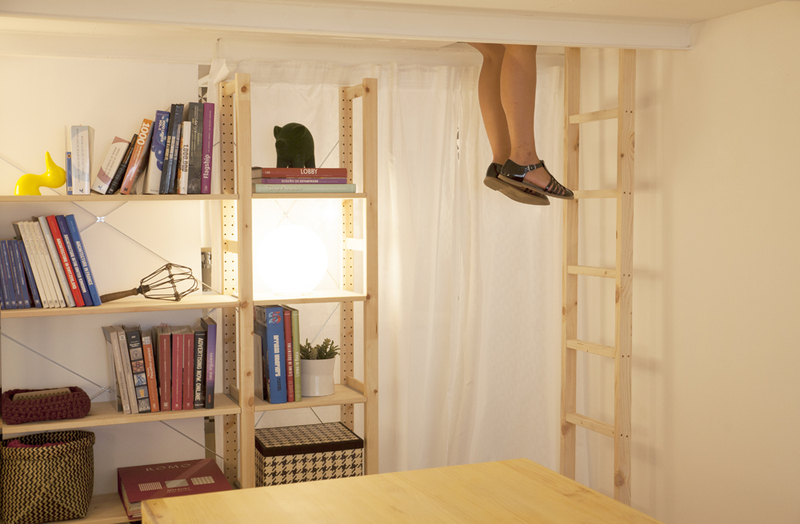 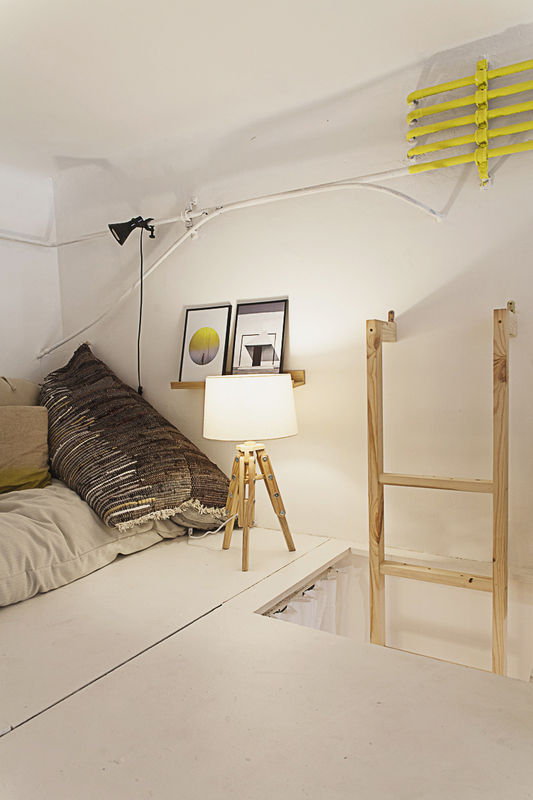 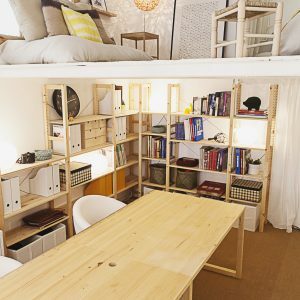 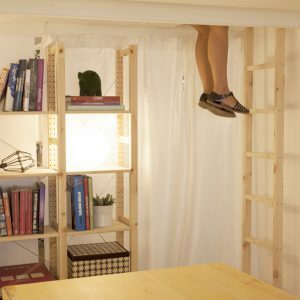 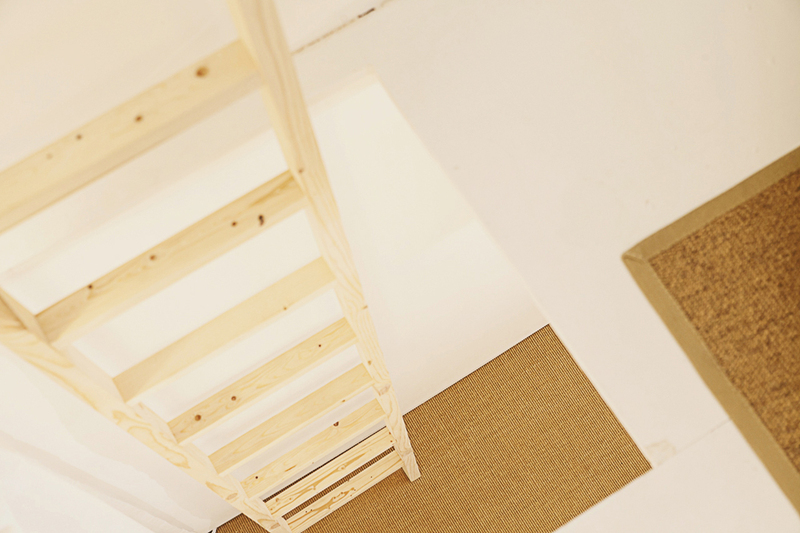 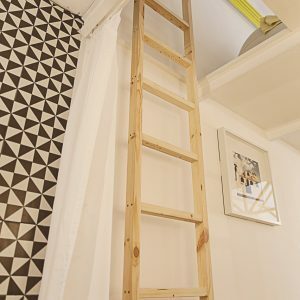 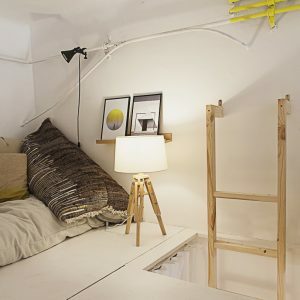 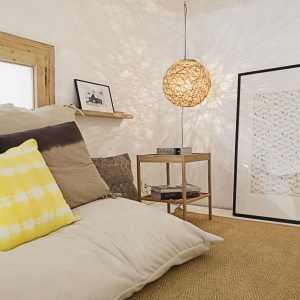 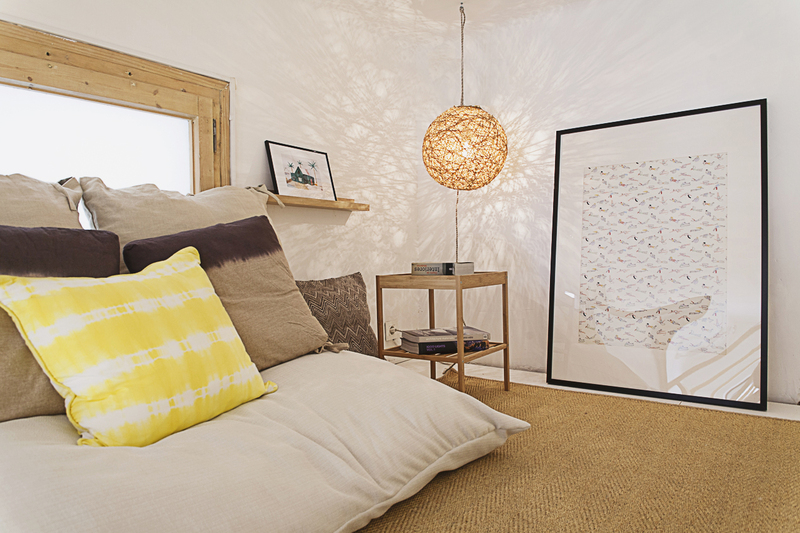 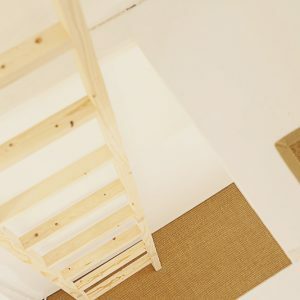 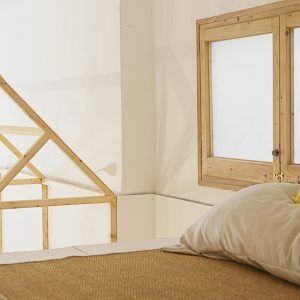 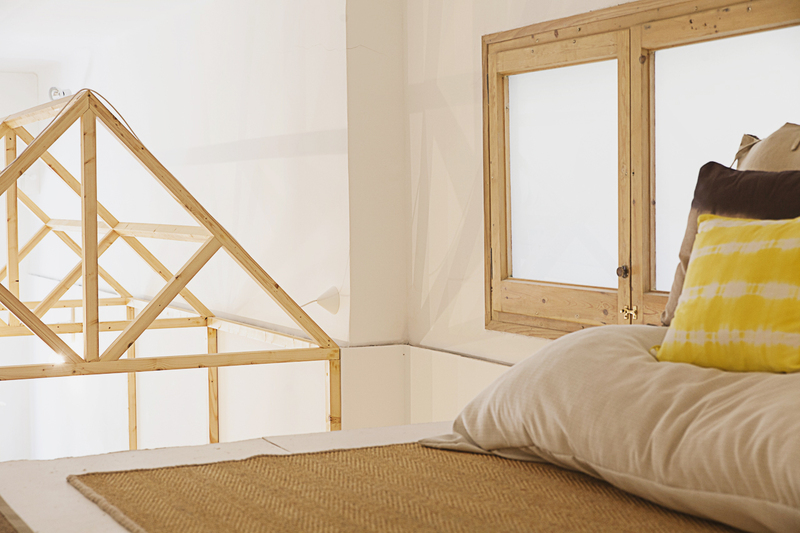 With a room with double height, a loft at the end was created in which you can enjoy a chill out area. 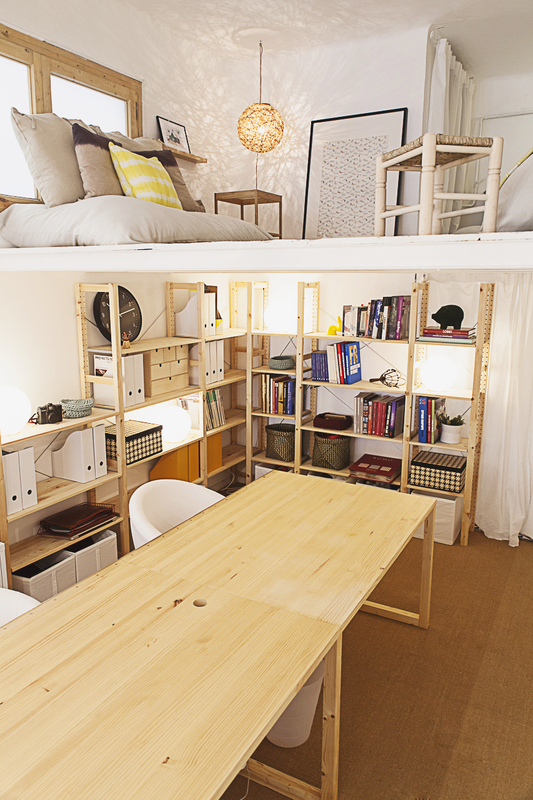 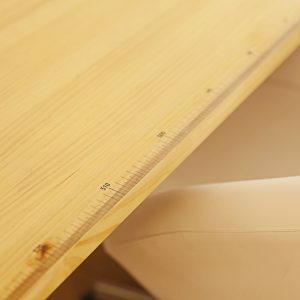 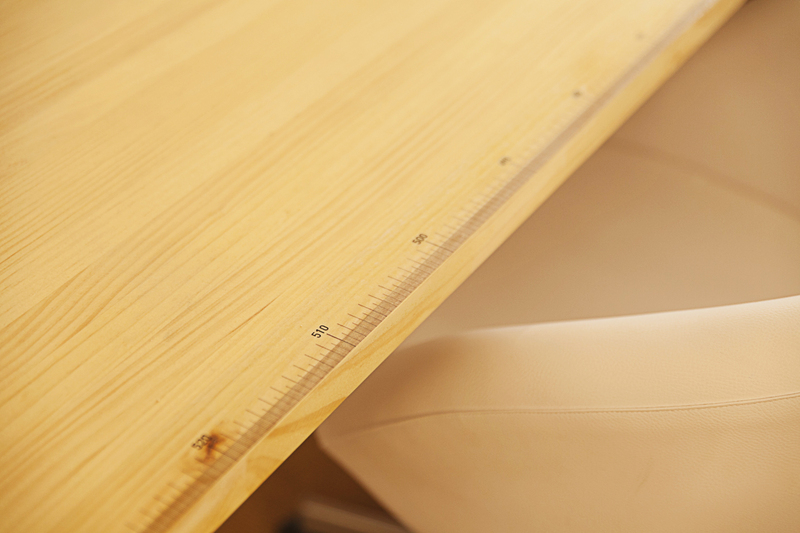 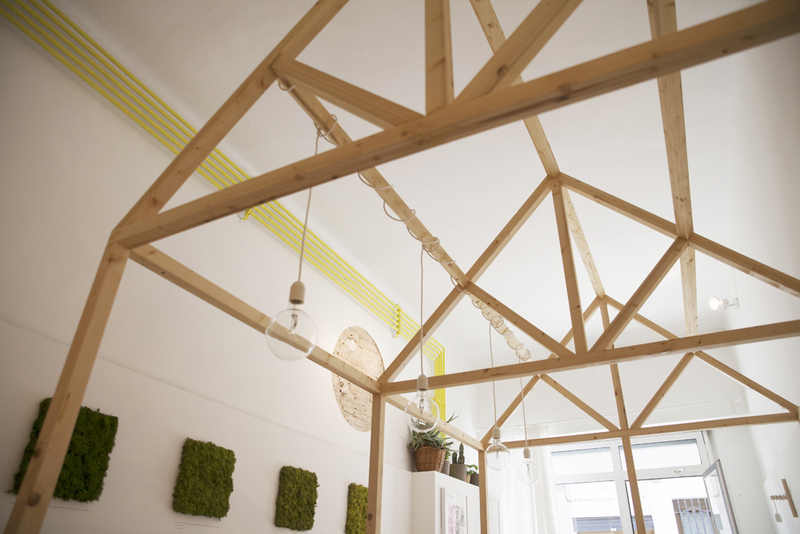 Benefiting from the high ceiling, a pine wood house is in the front where you have work tables of the studio. 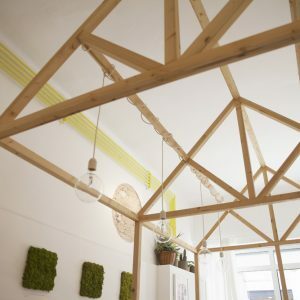 Plants are protagonists both inside and outside. 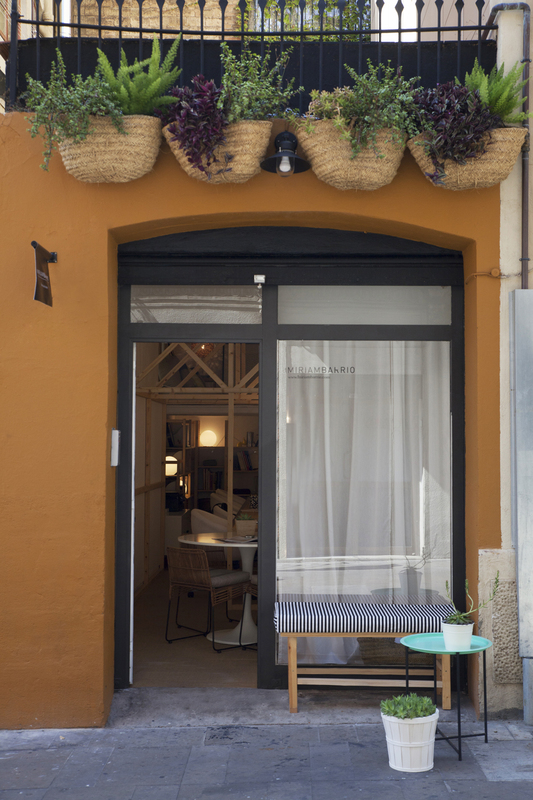 From the facade hang large baskets with plants and the simple design and character draws the attention of many passers-by.